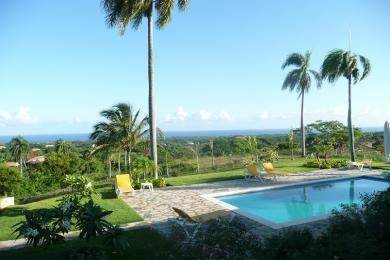 OCEANVIEW OCEANVIEW AND MORE OCEANVIEW...and besides the spectacular panoramic ocean view this property is one of the prettiest homes in Sosua and the North Coast of the Dominican Republic. Come and see the villa with its very spacious living and dining area and XL-master bedroom. You'll love the large pool and perfectly maintained grounds.